This is second part of our reviews of the 2016 Testarossa releases of Chardonnay and Pinot Noir. In this article we focus on Testarossa’s Pinot Noirs which like the Chardonnays are handcrafted in small lots of mostly vineyard designated wines from partner growers in Russian River, the Santa Lucia Highlands, Chalone, Santa Maria Valley, Santa Rita Hills, and other appellations. In 2016, they produced many outstanding Pinot Noirs that (like the Chardonnays ) are among the finest we have reviewed over the years. With so much average Pinot Noir being produced in California and elsewhere these days, Testarossa’s Pinot Noirs offer wine enthusiasts the unique opportunity to become acquainted with a wide variety of high quality, terroir-based wines from some of California’s finest vineyards. Moreover, those readers not familiar with the distinctive characteristics of different Dijon clones will be able to taste several different bottlings from the Doctor’s Vineyard offered in this year’s releases. Our kudos to winemaker, Bill Brosseau, who has played such a key role over the years in establishing Testarrossa as one of California’s top producers of Chardonnay and Pinot Noir. Testarossa 2016 Pinot Noir Graham Family Vineyard Russian River Valley ($66) 93 Bright medium-ruby. A lovely flavorful Pinot Noir offering rich aromas and flavors of ripe cherry, toasted oak, and cola notes. On the palate it reveals saturated red berry flavors, toast and plum. Nicely focused, it shows soft round tannins and a persistent finish. Testarossa 2016 Pinot Noir Santa Lucia Highlands ($49) 91 The 2016 Pinot Noir Santa Lucia Highlands offers classic aromas and flavors of dark red berries, red plum and pomegranate with notes of herbs and toast. Medium-light bodied, it displays a silky palate, good acidity and balance and a firm finish. Testarossa 2016 Pinot Noir Fogstone Vineyard Santa Lucia Highlands ($68) 93 Medium ruby hue. Attractive aromas of ripe cherries and sage. On the palate it reveals lovely fruit flavors and spices with good density of fruit flavors, toast and herbs. A delicious, joyful wine with excellent acidity, round tannins and a long satisfying finish. 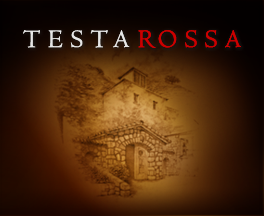 Testarossa 2016 Pinot Noir Rosella’s Vineyard Santa Lucia Highlands ($68) 94 The 2016 Pinot Noir Rosella’s Vineyard offers attractive scents of red berries and plum. It is very elegant on the palate with persistent red fruit, soft round tannins and rich juicy flavors. It is floral and fragrant with a touch of spice and hints of vanilla with lots of finesse. One of the finest vineyards in the Santa Lucia Highlands. Testarossa 2016 Pinot Noir Garys’ Vineyard Santa Lucia Highlands ($68) 93 The 2016 Pinot Noir Garys’ Vineyard offers lovely red cherry fruit with considerable depth of flavor and overall richness with added hints of herbs and toast. It is a beautiful, precise wine with excellent acidity, soft round tannins and a persistent finish. One of the best in recent years. Testarossa 2016 Pinot Noir Soberanes Vineyard Santa Lucia Highlands ($66) 94 The 2016 Pinot Noir Soberanes Vineyard offers attractive perfumed aromas of red cherry, smoke and minerals. It is refined and elegant on the palate with good density of flavor and a silky texture. It is supple and richly endowed with layers of fruit, spice and herbs, framed in lightly toasted oak. One of the finest wines of the Pinot Noir single vineyard series. Testarossa 2016 Pinot Noir Doctor’s Vineyard Santa Lucia Highlands ($68) 93 The 2016 Pinot Noir Doctor’s Vineyard displays a dark ruby color and aromas of ripe cherry/plum and pomegranate. A blend of several clones (Calera, 667, 777, and Swan), it offers complex, layered flavors and spiciness on the palate. The wine is beautifully balanced and supple with flavors. Testarossa 2016 Pinot Noir Doctor’s Vineyard Single Clone 777 Santa Lucia Highlands ($68) 91 A dark ruby color with somewhat earthy, red and blackberry and toasty aromas. Soft and silky on the palate with good density of flavor, firm round tannins and a persistent finish. Testarossa 2016 Pinot Noir Doctor’s Vineyard Single Clone Calera Santa Lucia Highlands ($68) 92 Medium ruby. Lovely red berry fruit aromas with toasty notes. Fresh and fruity on the palate and more approachable than the Clone 777. Silky smooth on the palate, soft round tannins, good acidity and balance and a long finish. Testarossa 2016 Pinot Noir Doctor’s Vineyard Single Clone Swan Santa Lucia Highlands ($68) 92 The 2016 Pinot Noir Doctor’s Vineyard Single Clone Swan offers aromatic spicy red berry and ripe pomegranate fruit on the nose. It is soft, supple and densely flavored on the palate with excellent balance, soft round tannins and a firm silky finish. The most attractive of the single clone series. Testarossa 2016 Pinot Noir Pisoni Vineyard Santa Lucia Highlands ($76) 93 Medium ruby. Lovely perfumed nose of red berry fruit, smoke and notes of vanilla. Nicely concentrated on the palate with elegant mouth feel, considerable depth of flavor, soft round tannins and a long lovely finish. Testarossa 2016 Pinot Noir Brosseau Vineyard Chalone ($66) 92 Medium ruby. Ripe dark cherry aromas and flavors. Soft on the attack with a lovely mouthfeel, firm structure and concentrated red flavors and a hint of baking spices. The tannins are round and the finish satisfying. Testarossa 2016 Pinot Noir Arroyo Grande Valley Rosemary’s Vineyard ($68) 90 Dark ruby. plum and black licorice flavors. Soft on the attack and mouth filling. soft tannins; nicely structured with good acidity and overall freshness, but not long on the palate. Testarossa 2016 Rincon Vineyard Arroyo Grande Valley ($68) 90 Medium-light bodied, the Pinot Noir Rincon Vineyard displays red cherry aromas with hints of clove and toasted oak. It is focused and firmly structured on the palate with moderate intensity of flavor, firm round tannins and good persistence. Testarossa 2016 Pinot Noir Sierra Madre Vineyard Santa Maria Valley ($66) 93 Bright ruby. Attractive red berry fruit aromas with hints of vanilla and toast. Nicely concentrated red cherry and raspberry flavors. Firm and focused on the palate, showing round tannins and a persistent finish with finesse. Testarossa 2016 Pinot Noir La Encontada Vineyard St. Rita Hills ($68) 93 A lovely dark red raspberry nose with a soft attack and elegant and flavorful palate with fine tannins, perfect balance, silky texture and a long finish. Testarossa 2016 Pinot Noir La Rinconada Vineyard Sta. Rita Hills ($68) 91 Red ruby in color, the 2016 Pinot Noir La Rinconada offers aromas and flavors of red cherry, sage and earth. It is dry on the mid-palate with moderate intensity of flavor, firm round tannins and a a persistent finish. Testarossa 2016 Niclare Pinot Noir California ($90) 95 This is a youthful Pinot Noir which is initially reticent on the attack but opens up in the glass. It is a lovely wine sourced from the best barrels of the vintage. It is harmonious and beautifully integrated with a soft elegant mouth feel and good density of flavor and excelent palate presence. Superb! This entry was posted in California, Pinot Noir, Red Wine, Uncategorized and tagged Featured. Bookmark the permalink.